GSP is in town. We just got back from Rino Wrestling. 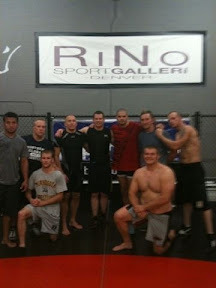 Coaches Leister and Ryan ran it and McSweeney, Salas, Mamalas, GSP and I all learned a bunch. Now it's bed time.